You are here: Home / Blog / Blog / Success Newsletters / Why? Why? Why Do You Want It? 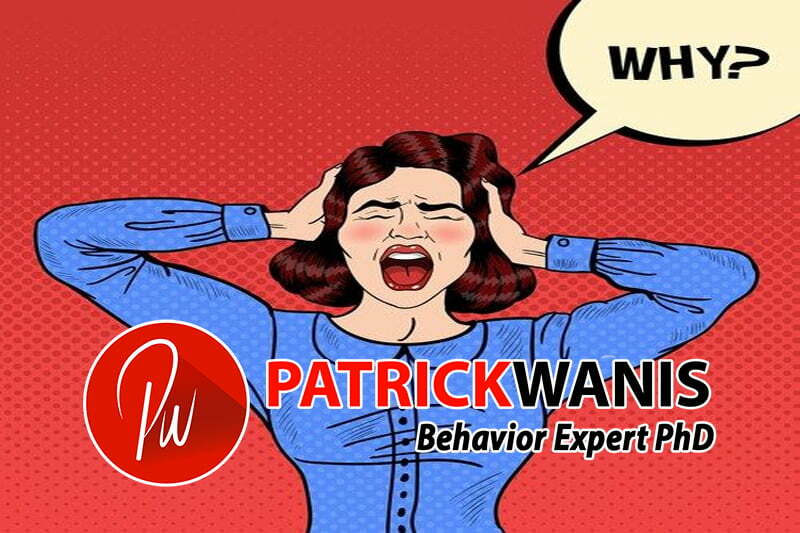 Sep 5, 2018 /in Success Newsletters /by Patrick Wanis Ph.D.
Why? Why? Why? Why Do You Want This? A friend was sharing with me her deep disappointment in herself. She had already built a highly successful business with two stores. However, she was in the process of selling the business because she felt completely burnt out. And yet she was experiencing extreme disappointment at the thought that someone else was going to buy her business and open five stores compared to her two stores. This is one example of the pain caused by lack of self-awareness: we truly do not know why we are doing the things we are doing, and therefore, either nothing is ever good enough or even if we do achieve our goals, we are still not satisfied. In this case, this friend had sacrificed so much of her health and energy to achieve these goals, but, that wasn’t enough to make her happy or fulfilled. This is the focus of my work – this is the study of human behavior – why we do the things we do. In another contrasting example, Corinne Olympios, a celebrity TV reality star and former villain of The Bachelor, was featured in a show “Who is America?” by Sacha Baron Cohen. Olympios tried to explain away her absurd behavior saying she didn’t have her phone or purse, felt so frightened, and therefore didn’t even know how she changed into a bikini or a hazmat suit showing her cleavage. Why did she go along with all of this? What was her real motivation? It might be simply argued that as a TV realty star, all Olympios wanted was attention, fame and relevancy. But again, why? What inner need or emptiness would the attention, fame and relevancy fill or fulfill? When one has no idea why they do the things they do or what they really want, then they will be led astray, will sacrifice the wrong things, betray their own morality, standards or principles and will still, at the end of it all, feel miserable or totally empty. When you find the answer, the truth sets you free because it gives you the opportunity to be consciously in control of yourself and to no longer be a product of your environment! So again, why do you want it?